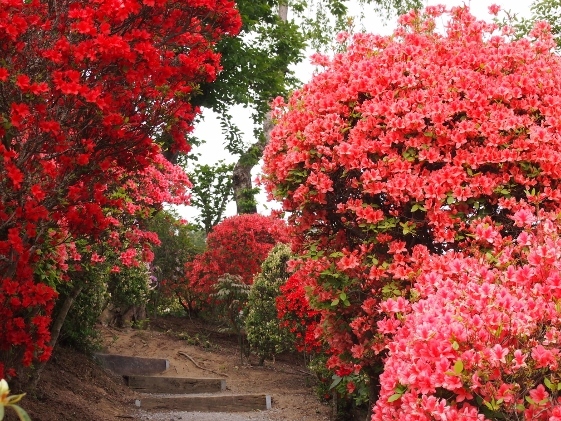 This morning, I visited another famous flower park in Sukagawa City which was Okanbara Rhododendron Park. 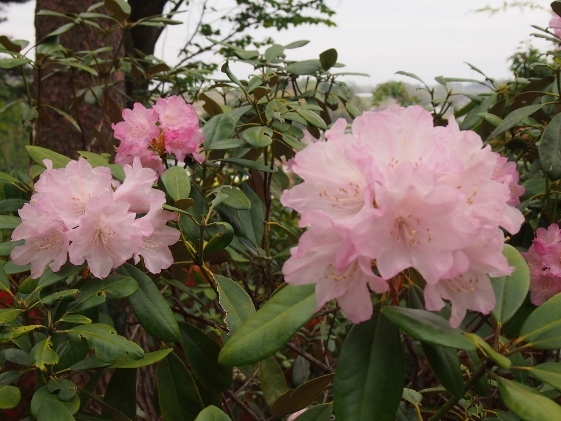 Then it started to rain around noon. 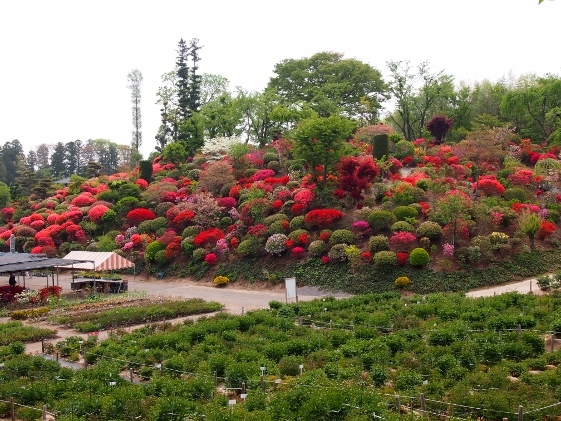 Okanbara Rhododendron Park was located in the suburb of the City and the Park had been privately owned since 300 years ago. 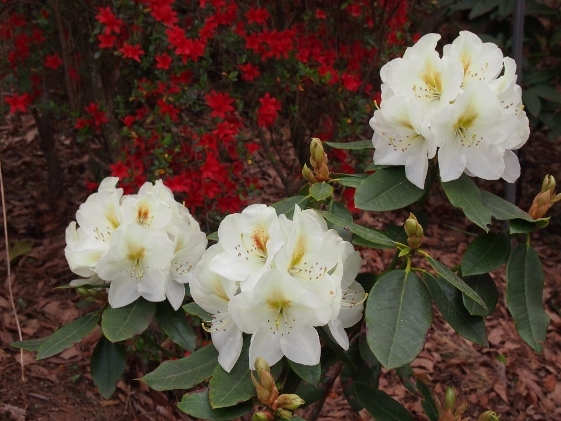 Azaleas and rhododendrons today were almost best to see in the Park. 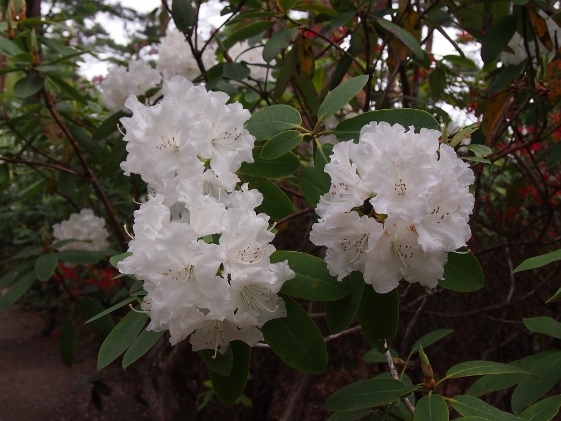 However, since I could still find many buds left the best days will last for some time. 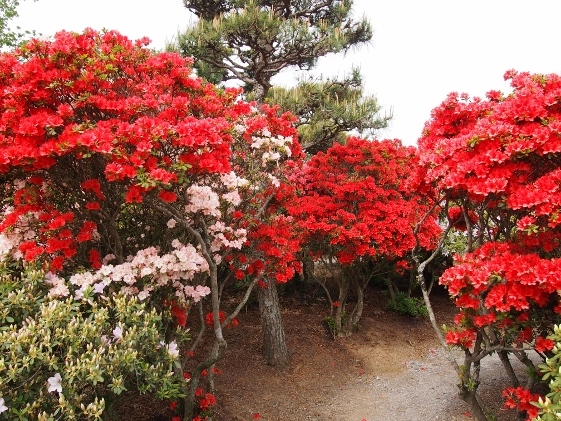 The azaleas and rhododendrons in this Park had been taken best care of compared to wild azaleas in mountains. 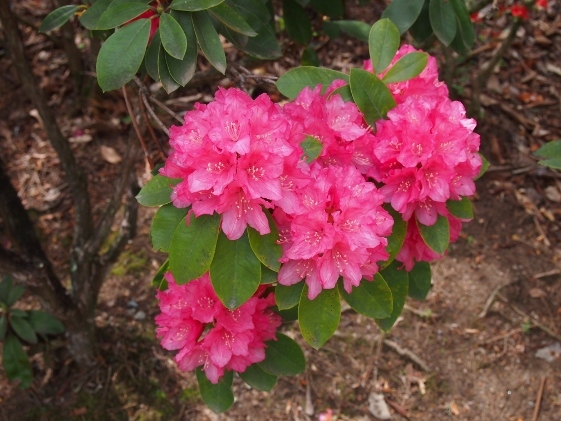 Numerous kinds of rhododendrons were in beautiful bloom and these really impressed me. 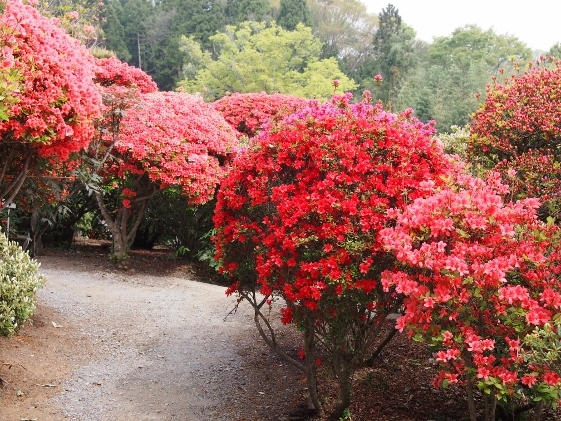 The whole view of the Park and beautiful azaleas are shown in the pictures above. 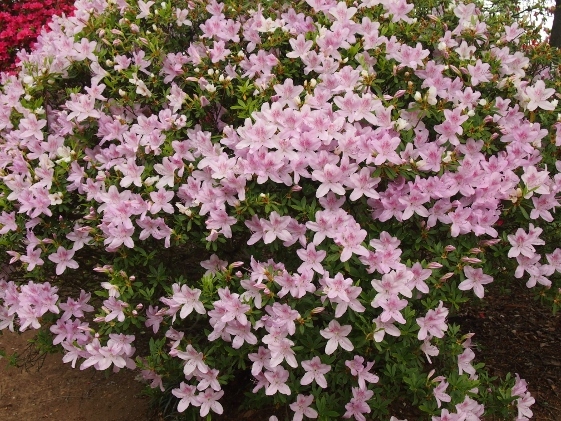 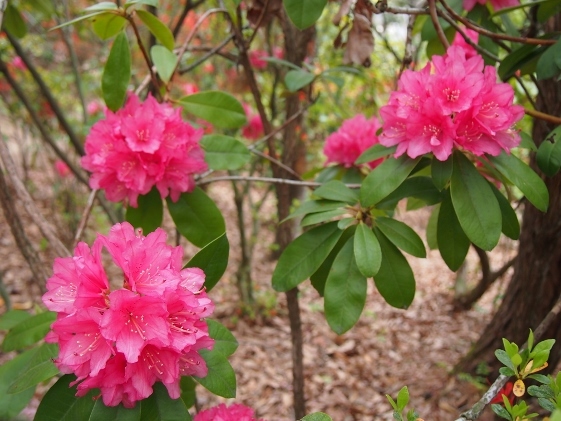 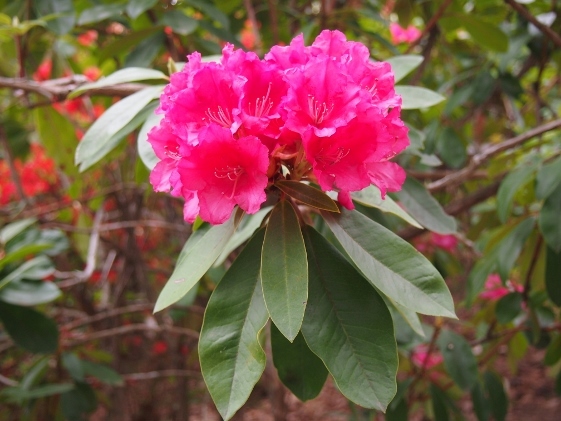 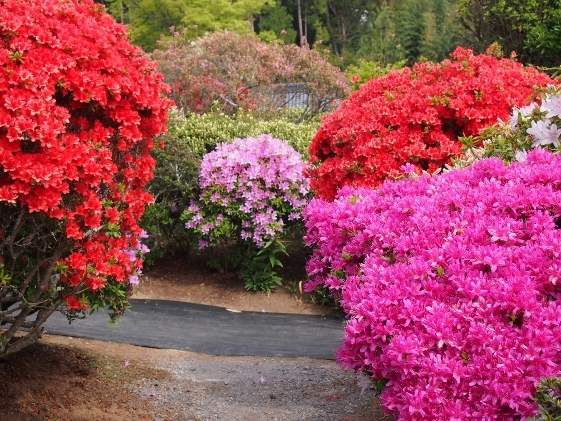 Many kinds and colors of rhododendrons are shown in the pictures above. 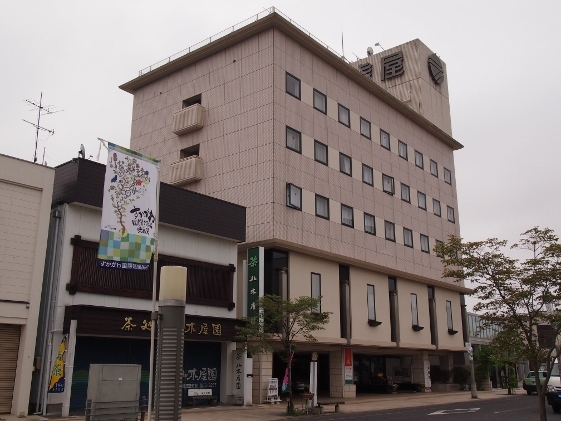 Last night as well as tonight I stayed at Toraya Hotel which was a business hotel located near the center of Sukagawa City. 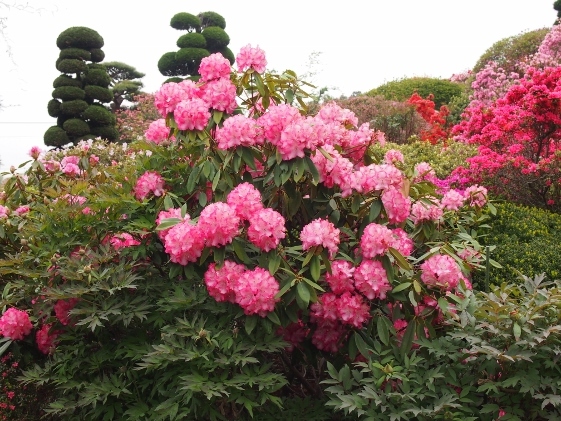 It stood between Sukagawa Peony Park and Okanbara Rhododendron Park. 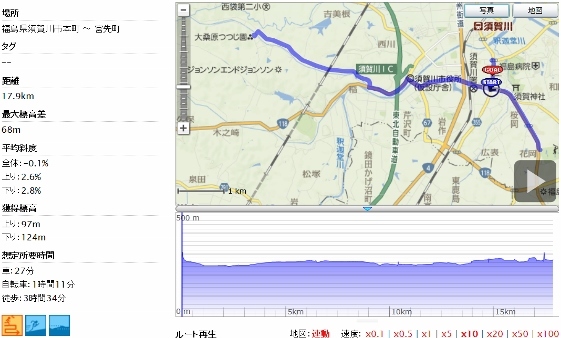 It was a nice hotel with a good breakfast.